I’m going to go out on a limb here and make a crazy generalization here: most men like beer. Obviously as a pint but if you can incorporate beer into any other part of their daily nutritious intake, I doubt they would mind.I’ve been quite successful over the years, braising my new best friend–short ribs–in wine and spices but not so much with beer. It was time for another shot. Using Goose Island’s Bourbon County Stout which brought tears to my friends’ eyes–apparently it’s pretty hard to come by and NOT meant for cooking with. Though I learned early on you don’t cook with cheap wine, so why wouldn’t the same apply to beer? Rare ale and all, this recipe might have achieved perfection. I needed a reason to use my new(ish) 3 1/2 quart Le Creuset (which has since become one of my favorite pots ever) and I had some short ribs about to catch a nasty case of freezer burn in the oven. 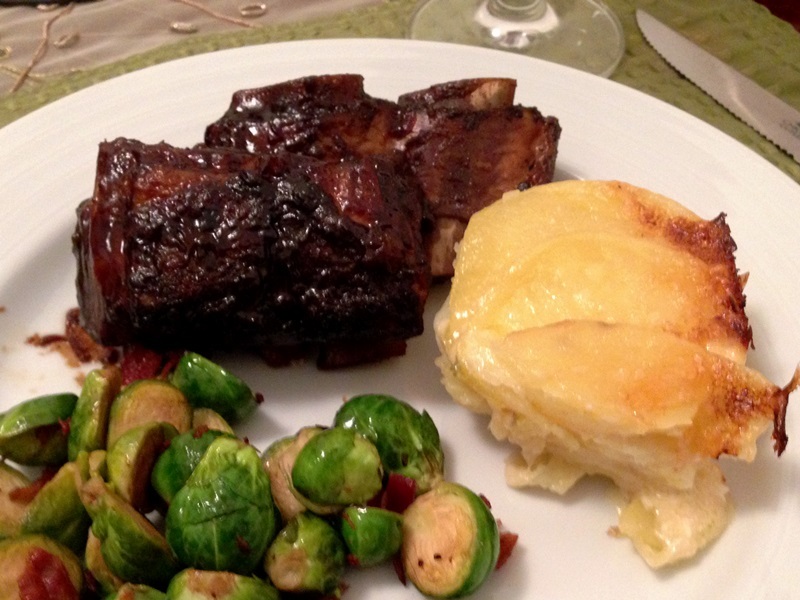 Last time I made short ribs for a dinner party they turned out pretty amazing. I marinated them in wine and veggies for a day, then tossed the marinade veggies and braised the short ribs with some fresh veggies and the same wine. To finish off, I roasted the final product in the oven for 10 minutes, or so, giving them a bit of crunch and glazy texture. So good. But that was a 2 day recipe. I was just cooking for my husband and me, and unless it’s a super special occasion, like a landmark anniversary or something, a 2 day recipe is not going to happen. 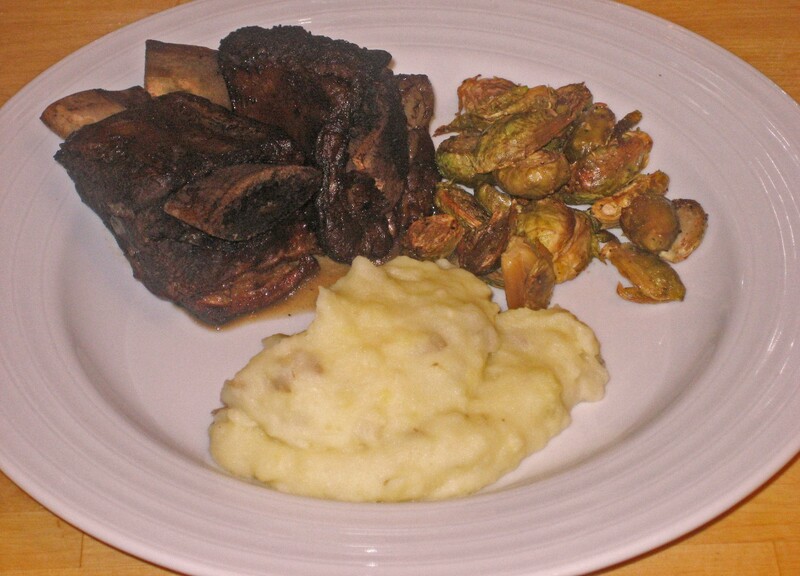 And thus my googling brought me to Dan Barber’s Short Rib Recipe.